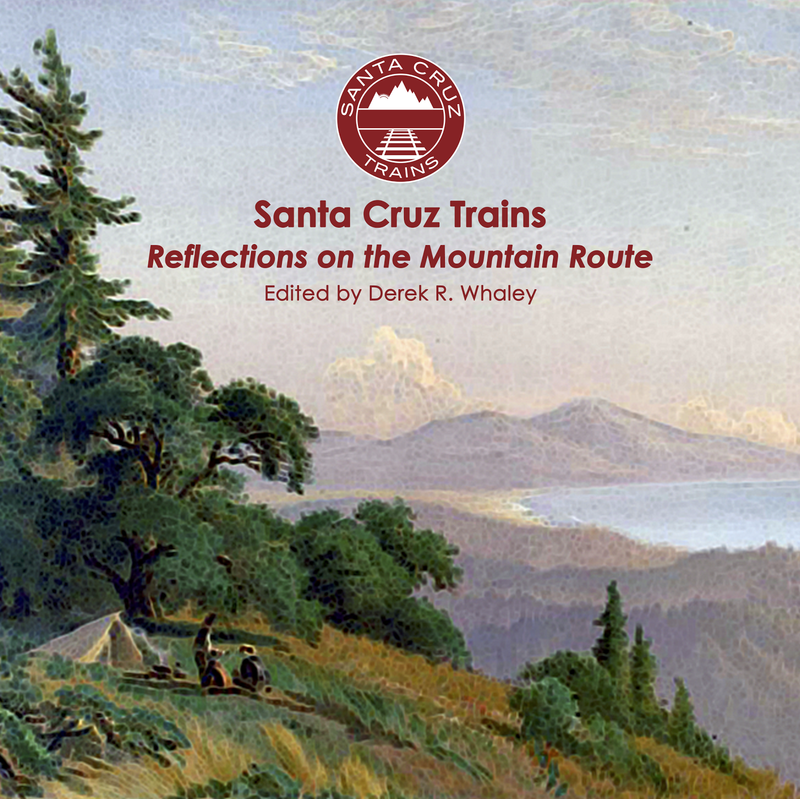 Perhaps an unlikely patron of the Los Gatos freight yard was the Sacred Heart Novitiate Winery that for over a century has overlooked Los Gatos. Originally, the ranch of Harvey Wilcox sat atop the hill, but in 1886 the Society of Jesus (Jesuits) purchased his 40-acre orchard, which already contained a small vineyard and many orange trees, to house their new facility. An initial structure was erected in 1888, followed by the large cement building still extant, which was completed in 1893. The Jesuits of Santa Clara College (now Santa Clara University) partially constructed the winery to fund a nearby seminary school for the college. The wine produced at the Novitiate was intended for use in the Eucharist, but other types of wine were quickly developed. The winery employed almost exclusively seminary students—novices—from the nearby seminary college. 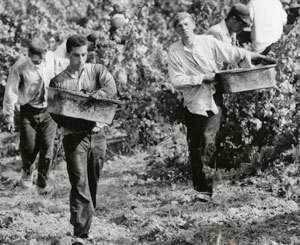 Work at the winery was a form of devotion, and students were encouraged to pray and remain silent during work hours, but could enjoy the evenings freely. The primary and oldest building of the winery is a three-story, gravity-flow winery that remains in use today. Other support structures, such as the large administrative building, also remain in place, albeit heavily modified. Birdseye view of the Sacred Heart Novitiate, with Los Gatos and the railroad station visible in the background, c. 1900. 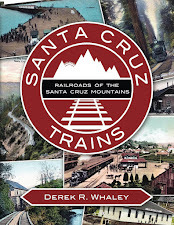 When precisely the winery began shipping out wine via the local railroad is unknown, but it could date to as early as 1888 and was definitely in use by 1919. 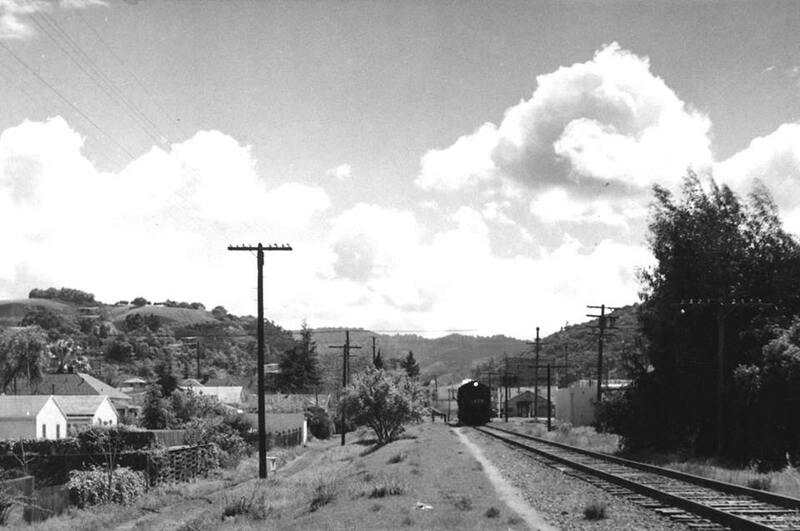 No rail service ever made it to the base of the Novitiate property, although it came close along the Los Gatos Manufacturing Company spur that terminated just before the Main Street bridge. 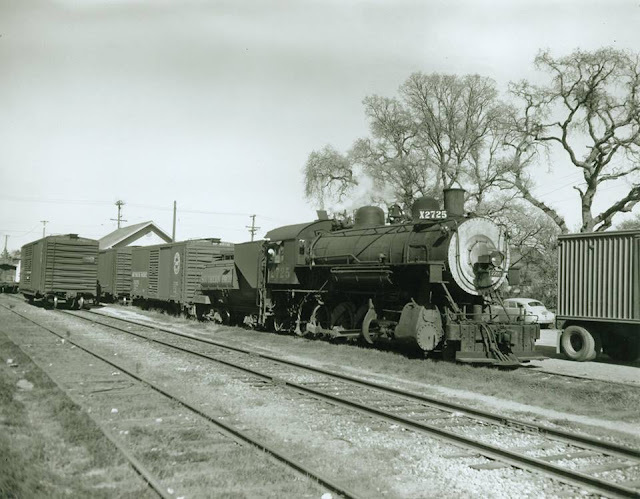 It seems more likely that the wine was carted across the bridge and loaded at the freight depot, and this was definitely the case after 1909 when the old spur was removed. Waiting boxcars would sit on one of the team tracks at the depot and ship out on passing trains or, after 1940, with one of the daily mixed trains. No special facilities were built for the Novitiate except possibly a loading mechanism of some kind to gently load the cases of bottled wine onto the cars. When Prohibition hit in 1919, the demand for altar wine jumped exponentially, causing the winery to expand. Over the course of the next two decades, the Novitiate began purchasing available nearby land, including 250 acres from the Harry Tevis estate in 1934. 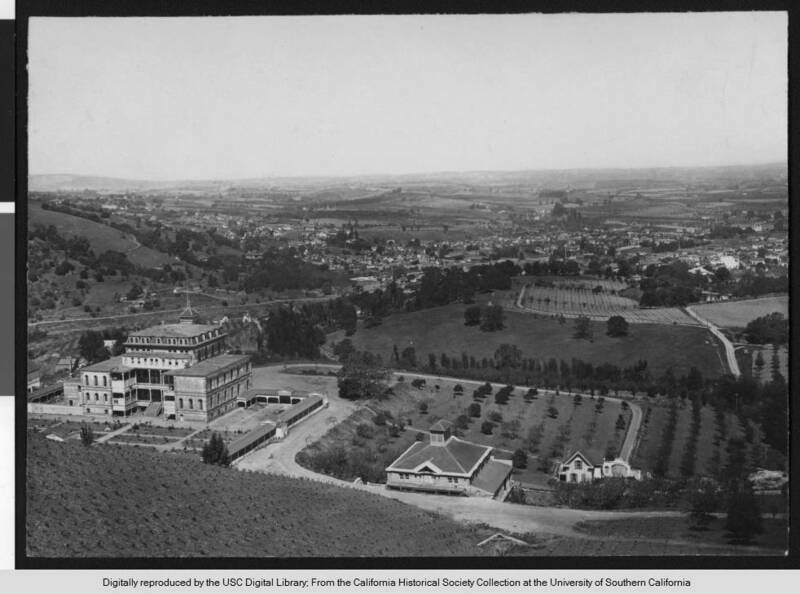 This property became Alma College, a new home for the seminary that was once at Santa Clara College. A total of 83 acres were dedicated exclusively to wine manufacturing and grape growing. The total volume of wine reached over 100,000 cases per annum. However, the soil had degraded during this period of expansion and the grape stock began to decrease in quality. Student numbers also began to decline, making it more difficult to recruit students for the hard work of tending the vines and winery. At its height, 120 students 14 priests resided at the Novitiate, but numbers dropped drastically beginning in the 1950s. Meanwhile, the population of Los Gatos was growing and rail service was replaced by truck in 1959. Alma College was eventually relocated to Berkeley in 1968 to become a member school of the Graduate Theological Union. It is now the Jesuit School of Theology. The winery remained in limited operation for another eighteen years, after which it was leased to various local wine-producers. In 1997, Rob and Diana Jensen, who had been running a small vineyard on their property since 1993, purchased the Novitiate grounds and began to produce their home label Testarossa (Italian for "red head," in reference to Rob's hair color) at the vineyard. Their primary products are Chardonnay and Pinot Noir, of which they produce around 30,000 cases annually The continue to operate within the historic structures, although they also have upgraded the buildings extensively for efficiency, and health and safety. It remains the fourth oldest continuously operating winery in California. Right-of-way north of downtown Los Gatos, with the Novitiate Winery on the hillside to the far left, c. 1950s. The site of the Novitiate is now known as Testarossa Winery, but the location remains the same and can be accessed via Prospect Avenue. The property can be visited and hired out for special functions. The Sacred Heart Jesuit Center and the Novitiate of the Sacred Heart church sit next door and also can be visited. Beal, Richard A. Highway 17: The Road to Santa Cruz. Second edition. Aptos, CA: Pacific Group, 1991. 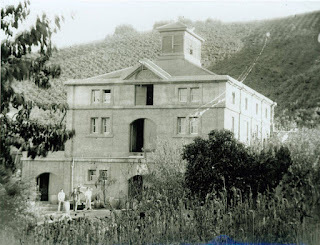 "For Almost a Century, Jesuit Novices Labored at Historic Novitiate Winery," Jesuits.org. 2013. "The Historic Novitiate," Testarossa Winery. 2017. My goodness, I'll be near "Holy Hill" in Berkeley and will now, as a wine drinker, have a deeper appreciation for its history! 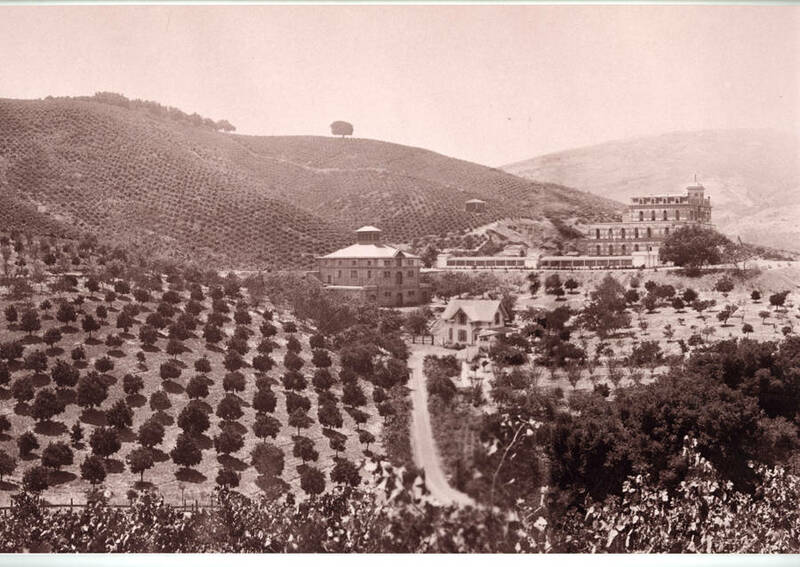 Most famous seminary student there at the Novitiate in Los Gatos was probably Jerry Brown, who picked grapes in the vineyard above the winery from 1956 to 1960. Others spent those years in college, but perhaps our four time governor learned as much as they did just picking grapes.